Hey Everyone!! Candace here from Candi O. Designs and it's my day over at the SVG Cutting Files Blog. 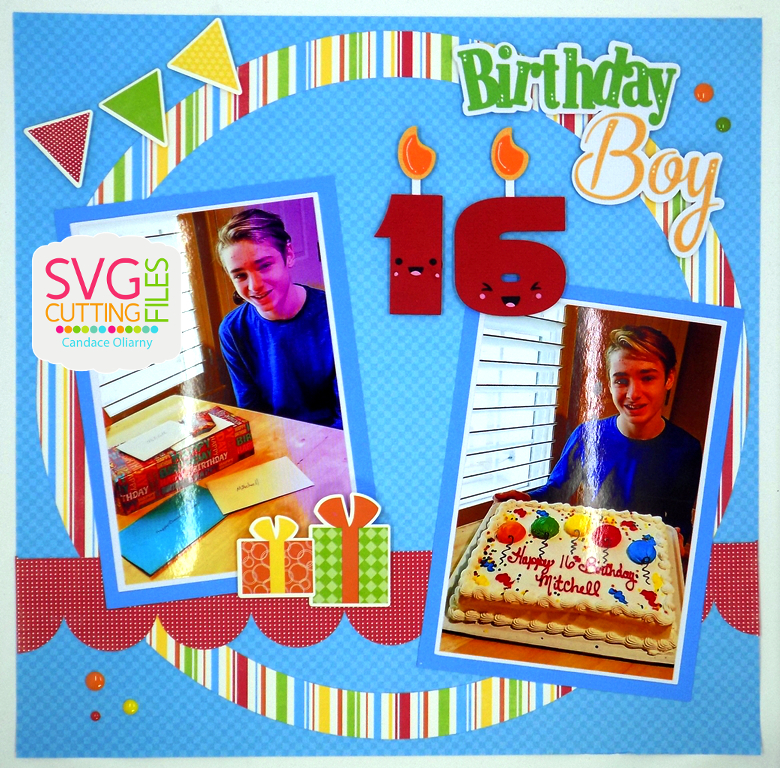 I used three different files to create this birthday layout. 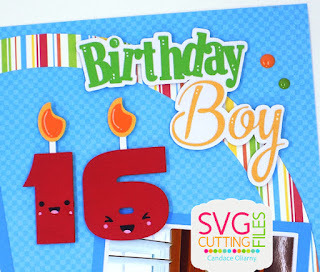 Page Sketch 21, Kawaii Nerdy Birthday Candles and Birthday Boy Title from Birthday Boy/Girl Layout. What a great layout. I have my youngest turning 16 this year too ... where does the time go!